The ICRS Journal “CARTILAGE” is extremely proud to announce its ranking of 21 out of 77 journals in orthopaedics, with an Impact Factor of 2.621 (Source: 2017 Journal Citation Reports®, Clarivate Analytics, 2017). 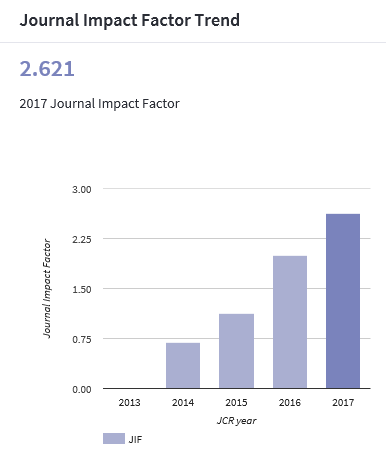 This represents significant growth for the journal, which has experienced a steady increase in Impact Factor over the last four years. We’d like to thank all our authors, readers, and reviewers for your support in helping make this journal successful. The 2018 impact factor for the ICRS journal Cartilage has increased from 0.694 in 2014 to 1.127 in 2015 to 2.000 in 2016 to 2.621 in 2017 and is now ranked 21/77 in Orthopedics! 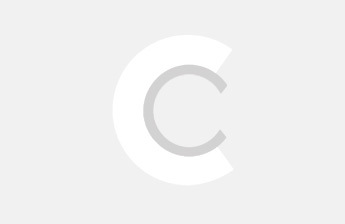 CARTILAGE (CART) is a peer-reviewed quarterly journal on the musculoskeletal system with particular attention to cartilage repair, development, function, degeneration, transplantation, and rehabilitation. Aimed at researchers and clinicians involved in cartilage biology and repair, CART publishes full length original manuscripts on all types of cartilage including articular, nasal, auricular, tracheal/bronchial, and intervertebral disc fibrocartilage.